← 26. Last days on the Canal Lateral a la Loire, a few days on the Canal de Roanne a Digoin and the Canal du Centre. 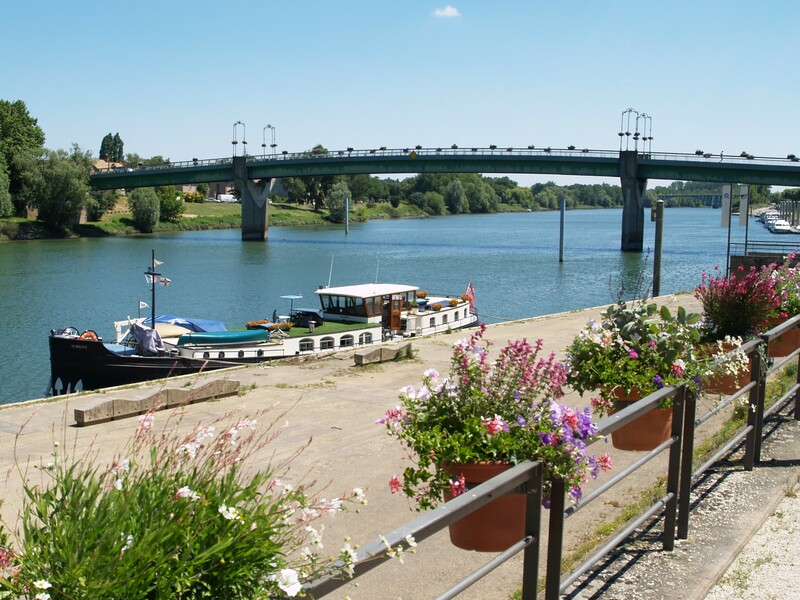 Amazingly our plans worked out like clockwork and we spent just under a week on the quay in the pleasant town of Tournus. With free water and electrics it has always been a great place to stop and its charming, rather tatty old world charm also appeals. Two days before our ferry to England for a family get together, we cruised north to the small port in a disused lock at Gigny, having reserved a spot there. Sadly the very popular restaurant was fully booked but we enjoyed a cold beer on the terrace. With the car packed, we set off the next morning and drove to Cambrai where we caught up with Carol and John on ‘Plover’. They were our neighbours over the winter in 2013 and now have a permanent mooring there. We enjoyed a tasty meal in a local restaurant and spent the night in La Chope Hotel near the port. It is always nice to catch up with old friends. This meant we only had a short drive the next morning to Calais and we were soon enjoying lunch with Louise and Alex in their lovely ever changing home in Hawkinge, Kent. 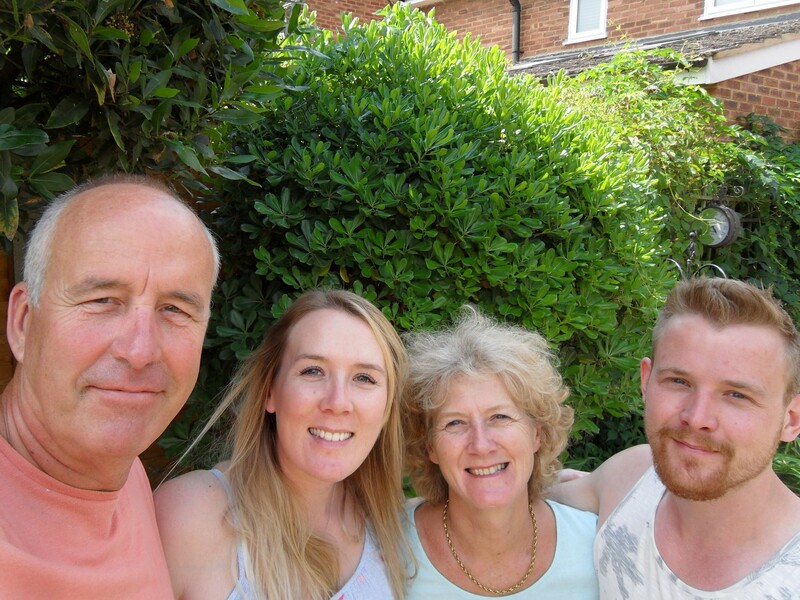 With our immediate family spread far and wide, it was great to be able to get together in Shepperton once again. 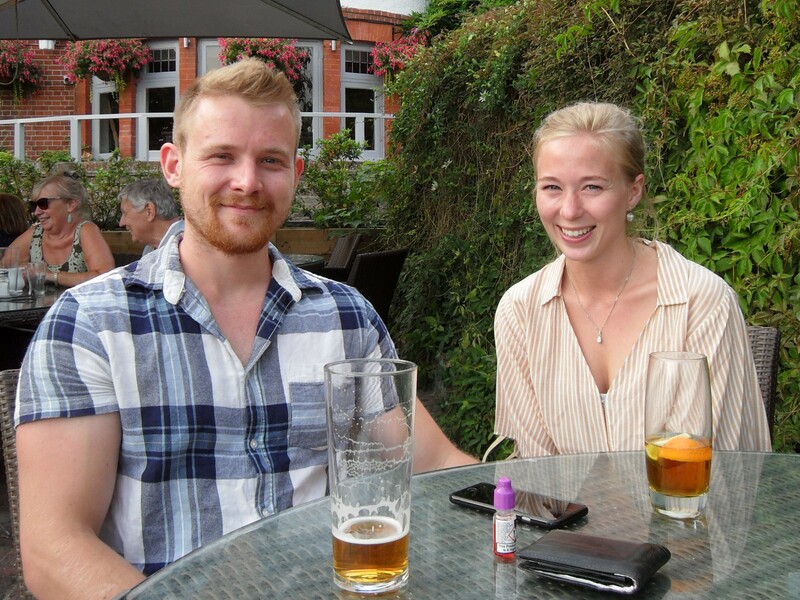 Laura had flown over from New Zealand for her three week action-packed birthday treat and Adam was able to spare time from his preparations for the Mongol Rally, starting just a few days later. Precious times when you’re a world apart. 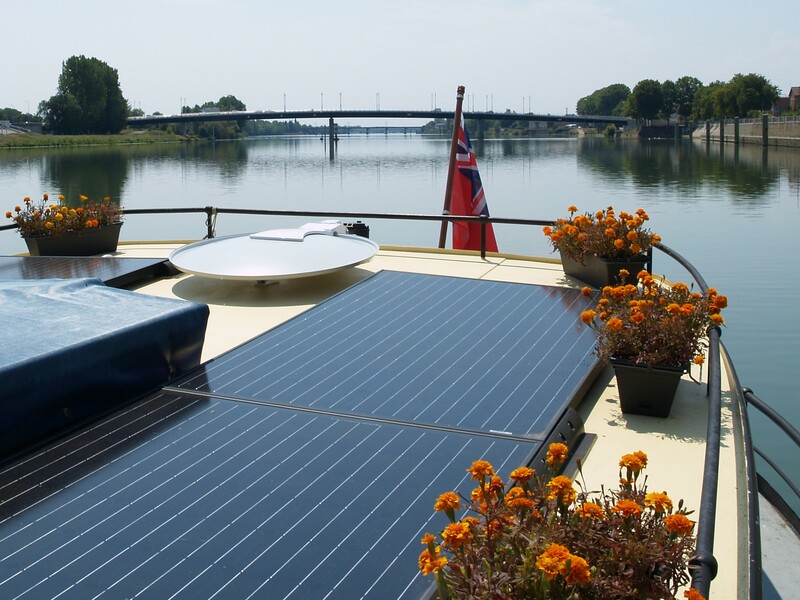 As most of the barging Mum’s would agree, it is the absence of family and friends that can place a shadow over one’s enjoyment of this experience and times such as these are very special. 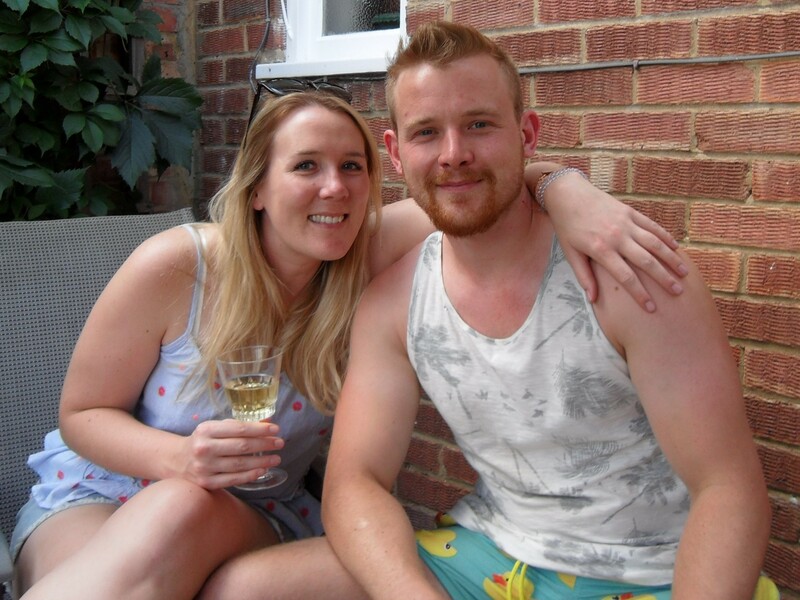 After a busy few days moving furniture between Shepperton and Winchester, enjoying a lovely Chinese meal out ‘en famille’ and meeting Adam’s girlfriend Felicity, Peter returned to France on the motorbike and was joined by his brother Paul. 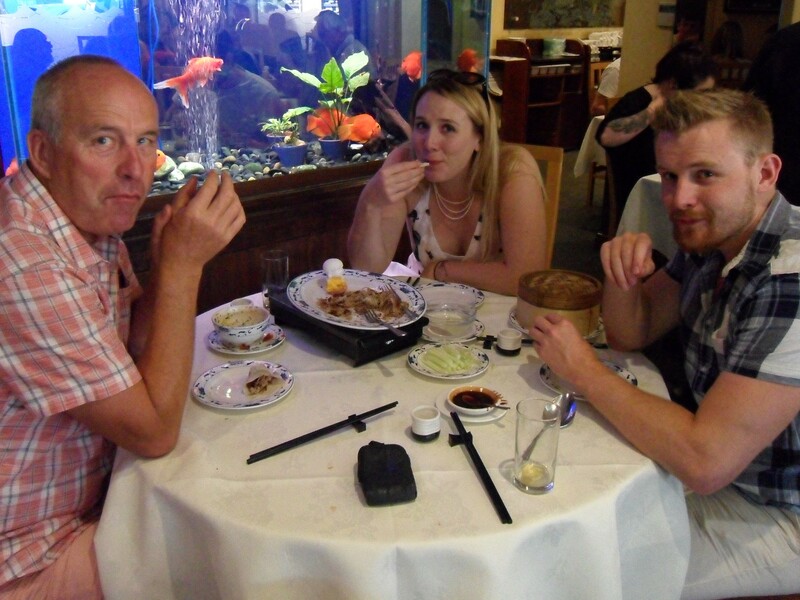 A really nice Chinese meal out together. A chance to meet Felicity the following evening and enjoy some British beer before I head back on the motorbike. 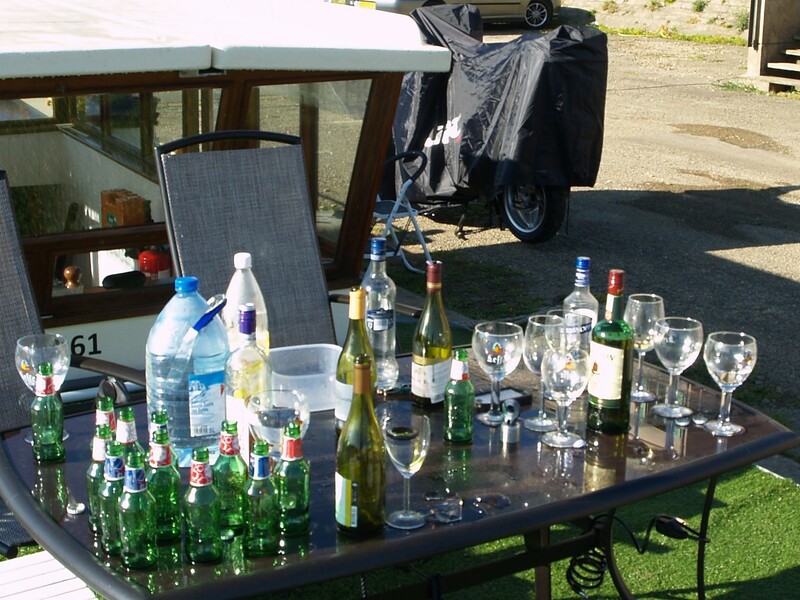 The chaps then moved the barge back to Tournus, fished, drank lots of good wine, played boules and chilled…or at least tried to in the heat wave which seemed to be Europe wide. As Paul left, a friend Peter arrived to carry on the socialising and Sue and Allan finally caught up on ‘Whisperer’…more aperos! Peter, Paul and Alan played boules most days under the shade of some trees nearby and everyone kept up the fluid levels with plenty of cold beers. 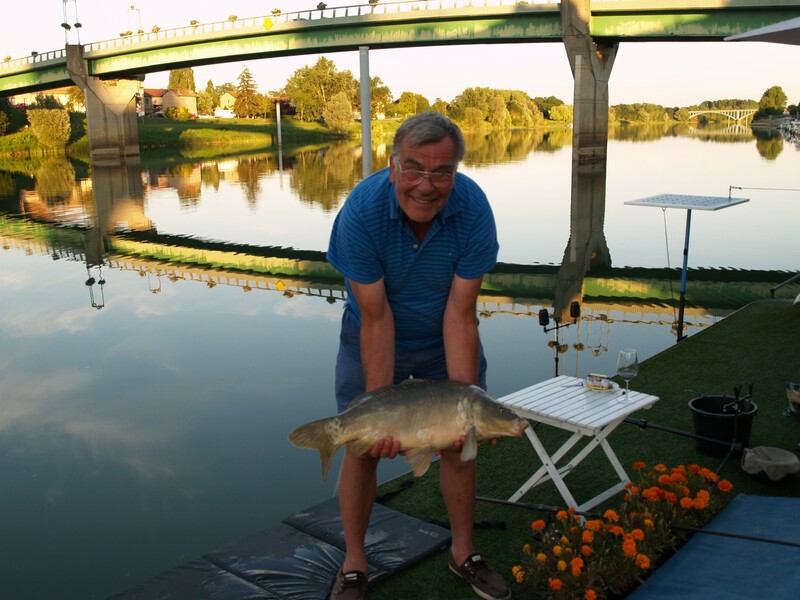 Back in Tournus, Paul and I enjoy some fishing, boules and fine wine. The aftermath of aperos ! Meanwhile, Laura and I were busy seeing friends, catching up on appointments and fitting the metaphorical ‘quart into a pint pot’. 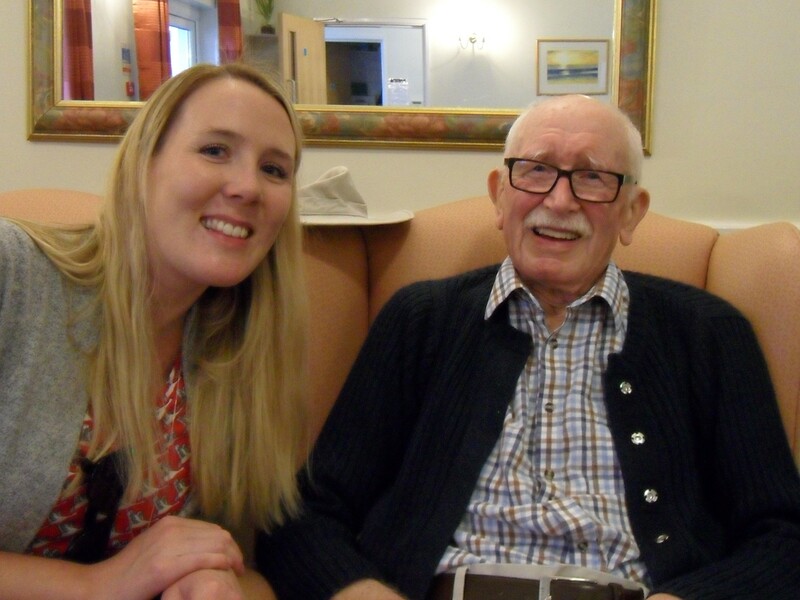 Dad was delighted to see his granddaughter again when we visited him in Devon and was looking fit and well in his lovely nursing home. 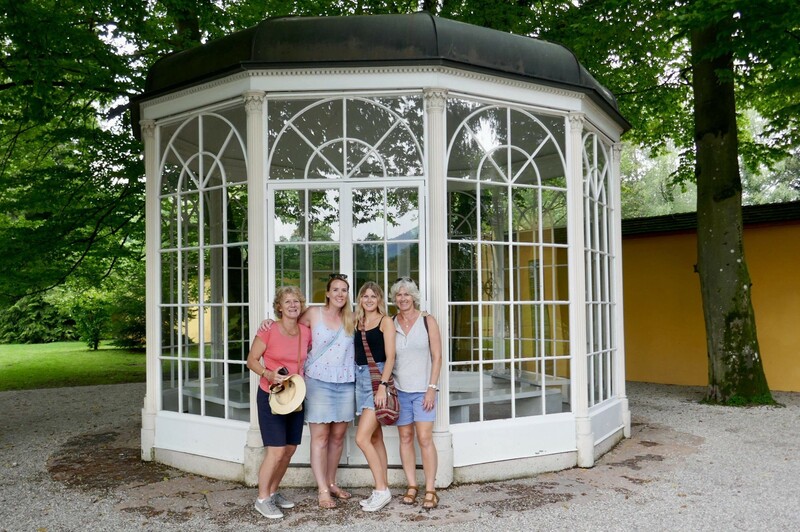 The culmination of Laura’s visit was a trip to Salzburg with my sister Kate and her daughter Megan. 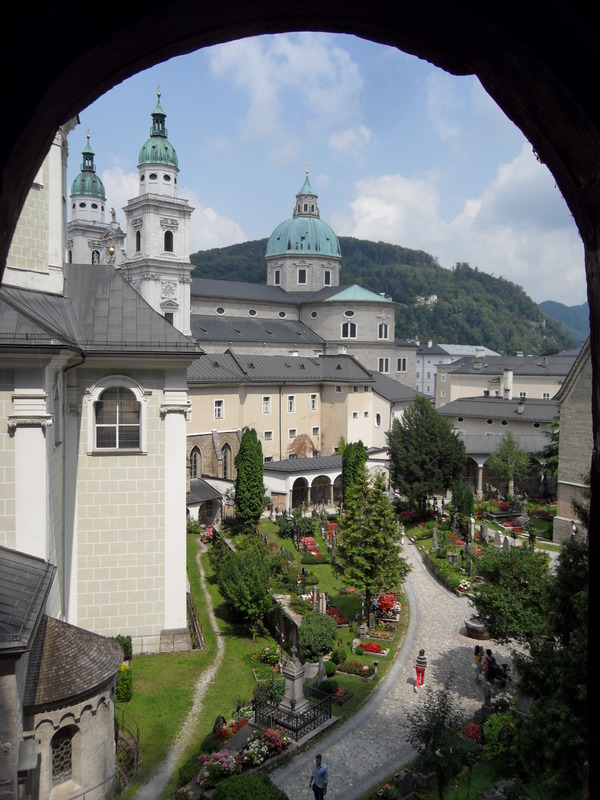 As children of the sixties Kate and I had grown up with the Sound of Music and had promised that we would visit Salzburg on a ‘significant birthday’. In fact all of us had significant birthdays…60, 55, 30 and 20. So 2018 seemed as good a time as any. A great all girl trip to Salzburg. We had a brilliant time and laughed and sang our way around most of the sights over two days. What Mozart (who was born there) thinks of it all we will never know, but I like to think he has a smile on his face, even though his birth place is now a Spa supermarket! All too soon our three weeks was over and it was time to say “So long, farewell…” which is never easy. Andrew, Kate and I finished clearing Dad’s house which had been my home on and off for 58 years and we all headed off on our separate ways. I was pleased to be able to break up my long drive to Tournus with a stopover on ‘Riccall’ with Louise and Alex who are great company and arrived hot and tired in a steamy Tournus the following afternoon. Having moored there for about three weeks, we stayed a few more days to enable us to sort out and stow all the gear that I had brought over in the car. We cruised to Macon and spent a few days there hoping that the heat wave would break. It didn’t. 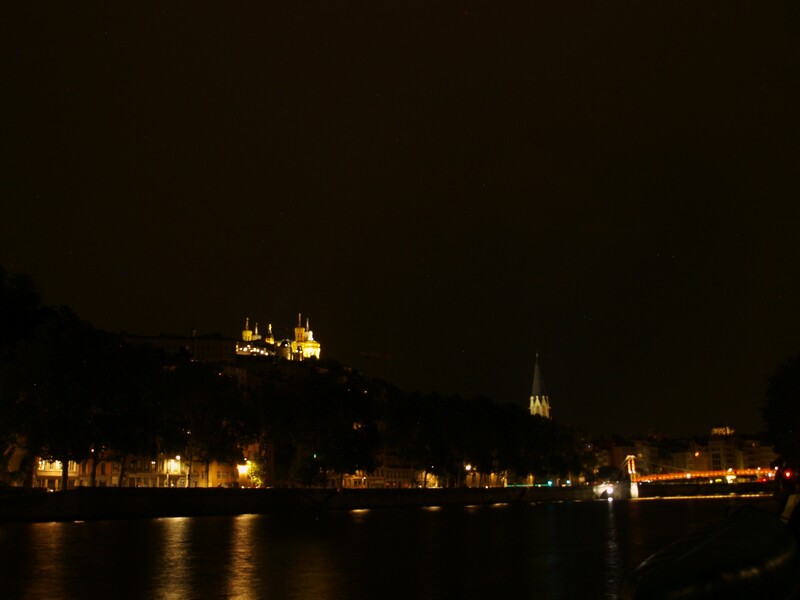 Temperatures of 38c are not fun and even though I was swimming several times each day and right across the Saone one evening, the river itself was too warm to be refreshing. 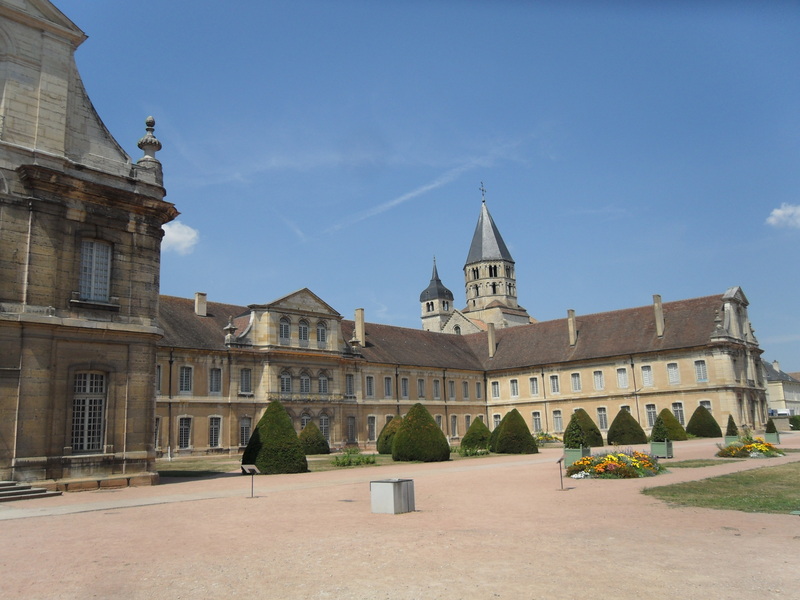 No one had any energy, but with impending cabin fever, I gamely set out one morning to visit Cluny. It is an interesting town which was well known in the Middle Ages for its huge monastery which dominated Europe as a kind of monastic capital. While I was away, Peter set about fitting our new automatic satellite dish to the back deck; so no more me pointing to 28 degrees east of south or that temperamental screeching satellite finder. Yippeeeee! Fits nicely on the back deck, no more fiddling about for a signal. Press the button and it is all tuned in…lovely. We had also intended climbing the rock at Solutre with Sue and Allan, but having driven there from Macon one day we all agreed it was just too hot. 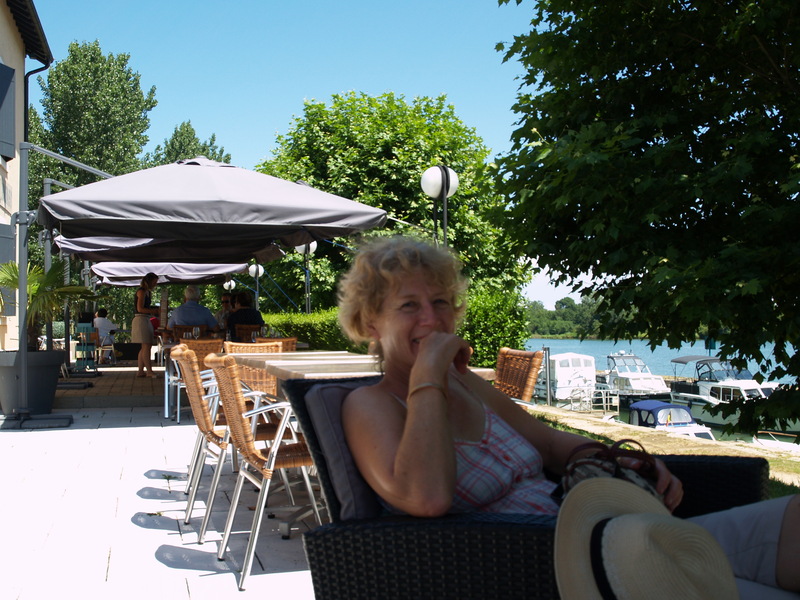 Our final days on the River Saone did see the weather break as last. We stopped at Belleville for the first time (the pontoon having been full previously). As we moored up I managed to drop a fender overboard. In fact our fenders had taken a bit of a bashing at Macon where boy racers zoom up and down in speed boats and on jet skis chasing the swans, producing a huge wash. These people ruin the peaceful rivers often deliberately straying out of their allotted areas. One rope had broken twice and our fender was returned to us by a chap on a cruiser …twice. Such a shame that a selfish few spoil the peace for everyone. This time I collected it in the canoe, and had to do the same again at Jassans Riottier, when a new rope slid out of a fender as we moored up. This time however Peter suggested I wait until we had enjoyed a nice lunch in the adjacent restaurant before paddling across the river to retrieve it. 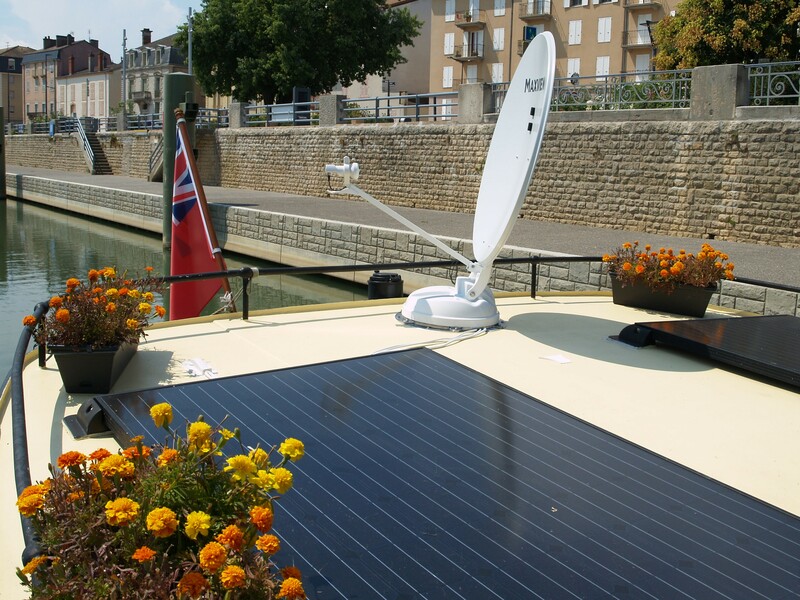 We stayed on the pontoon there for the weekend with free electrics, as nobody came to collect the fees. A walk across the river to Villefranche sur Saone station and a twenty minute train journey took us back to a very rainy Macon where we had left the car. 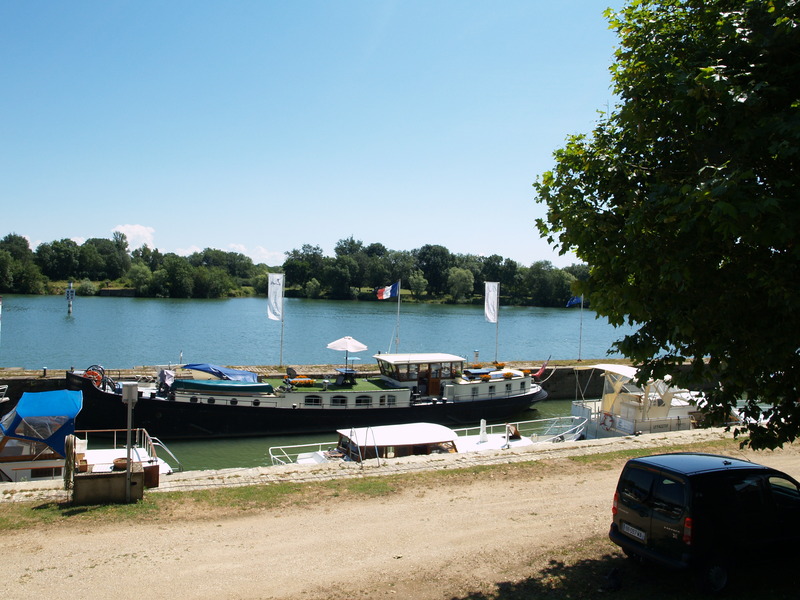 Next stop was an idyllic looking pontoon between St Germain de Mont d’Or and Neuville sur Saone. Shady and quiet…until we realised that we were in the middle of a speedboat area! 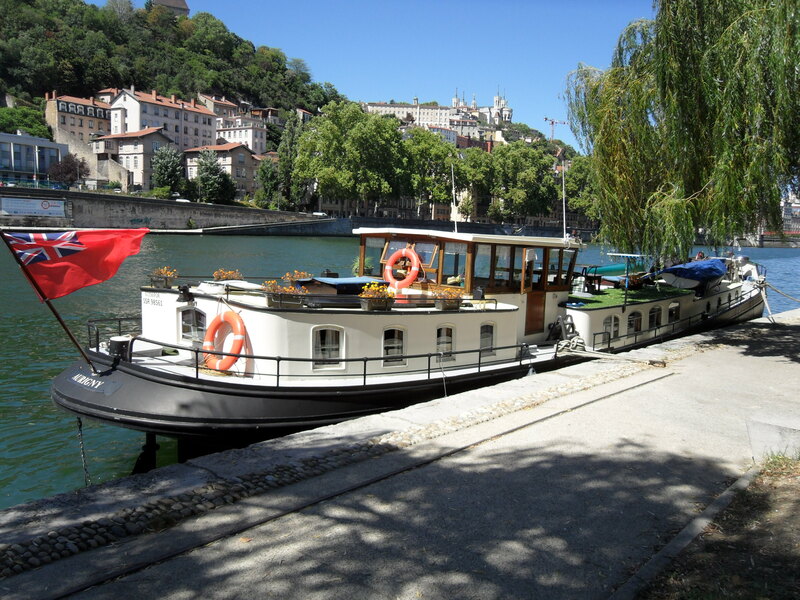 So we left there on Sunday 12th August and cruised into Lyon to a reasonable quay mooring at PK 2.5 opposite the VNF office. 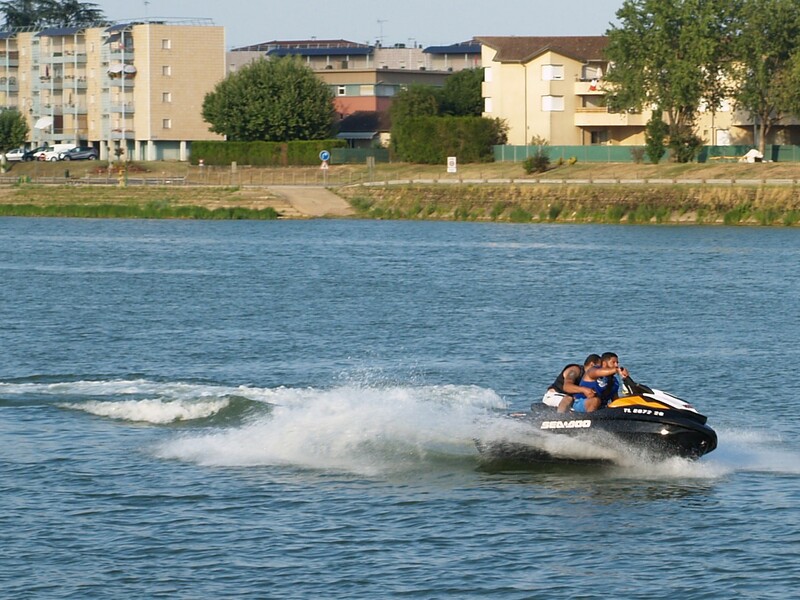 It was fine for a couple of days and just a few kilometres from the confluence with the mighty Rhone. 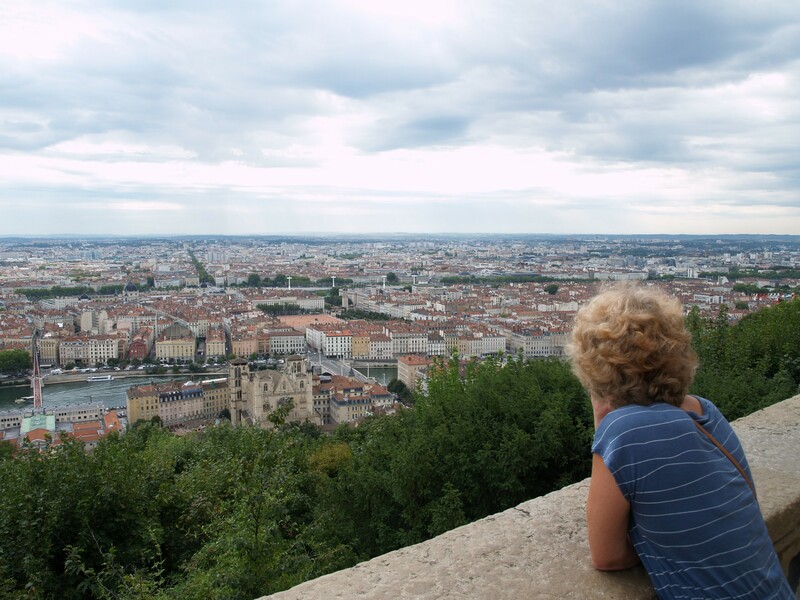 View from above, the Rhone and the Saone join just a short distance downstream to the right.